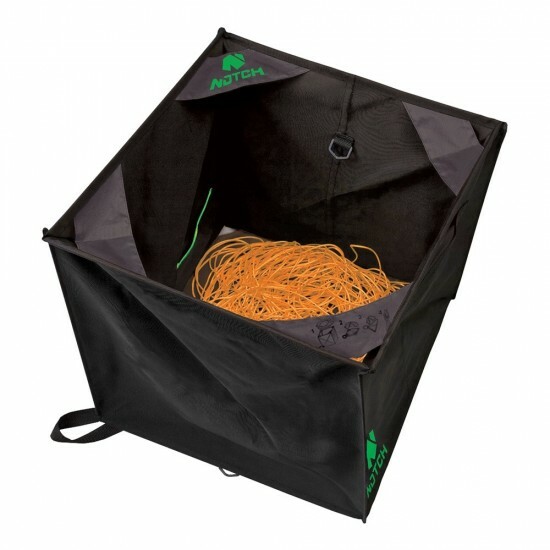 The makers of Fold & Hold folding throwline cube take climbers to the next level with this top-quality cube designed specifically for throwline organization. Just as effective at dispersing line during the throw as it is at receiving line being retrieved, the Notch Cube Fold & Hold Deluxe folding throwline cube can be used on the ground or in the tree with equal effectiveness. Storage features include one large exterior and two small interior pockets for holding throw weights plus an interior Velcro strap and D-ring for quick line-end recovery.